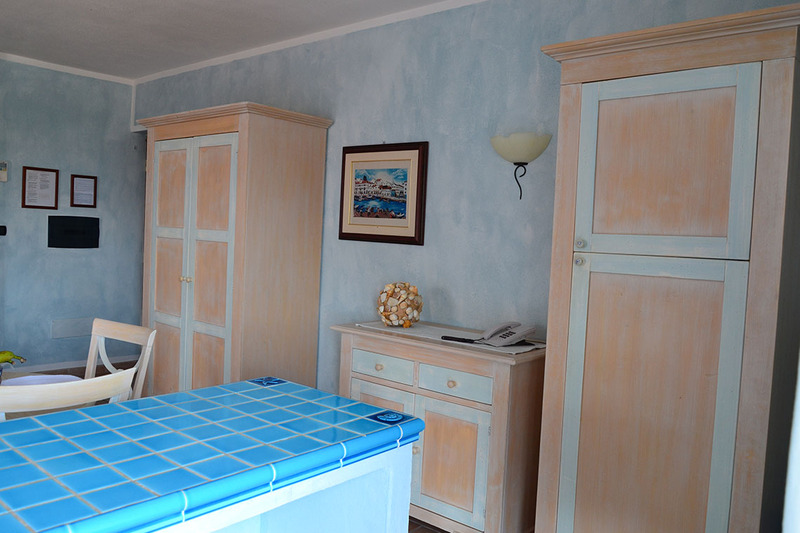 This is the villa’s largest and most prestigious Suite. 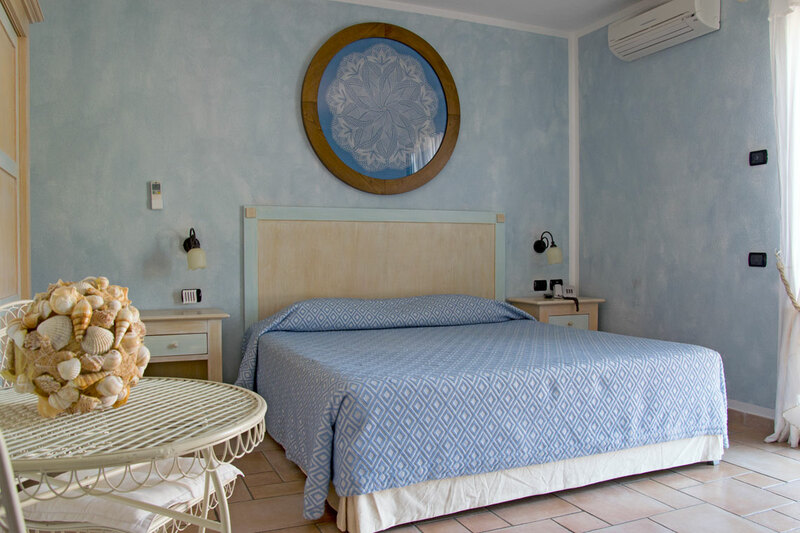 It has a living room, with fully-accessorised cooking area realized in Cerasarda ceramics and convertible sofa beds, a spacious double bedroom + single bed and two private bathrooms within whirlpool shower, steel towel warmer and hairdryer. 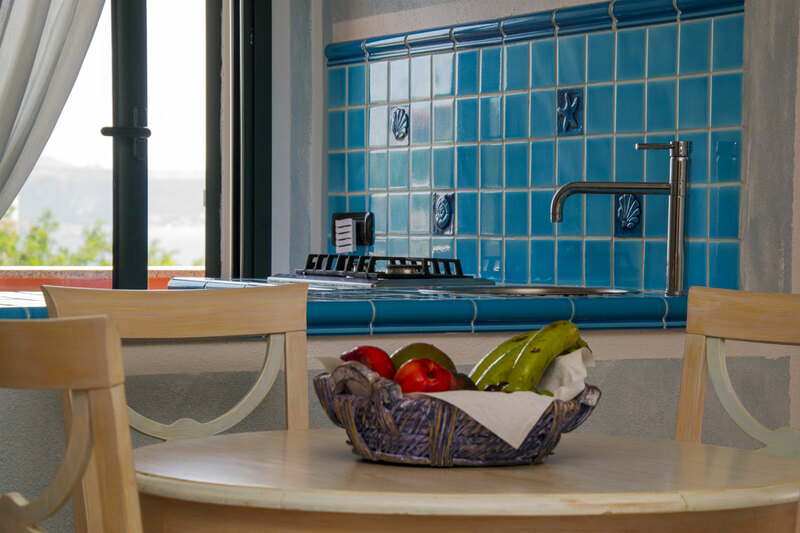 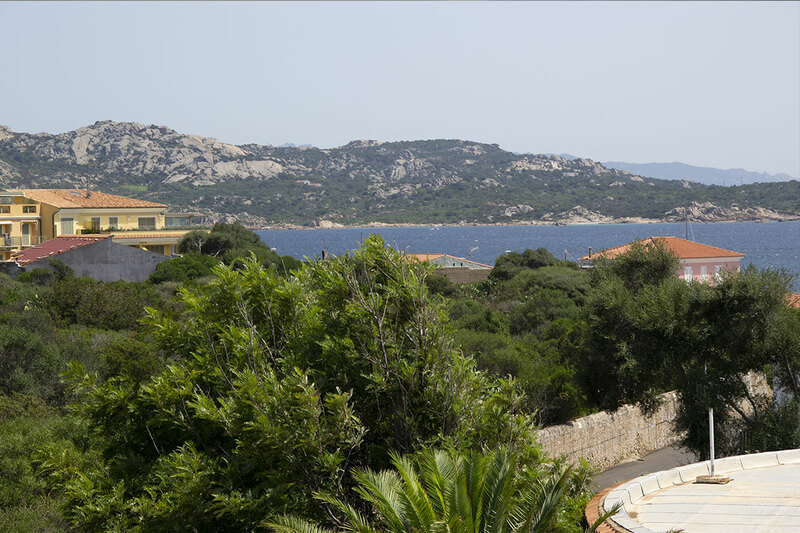 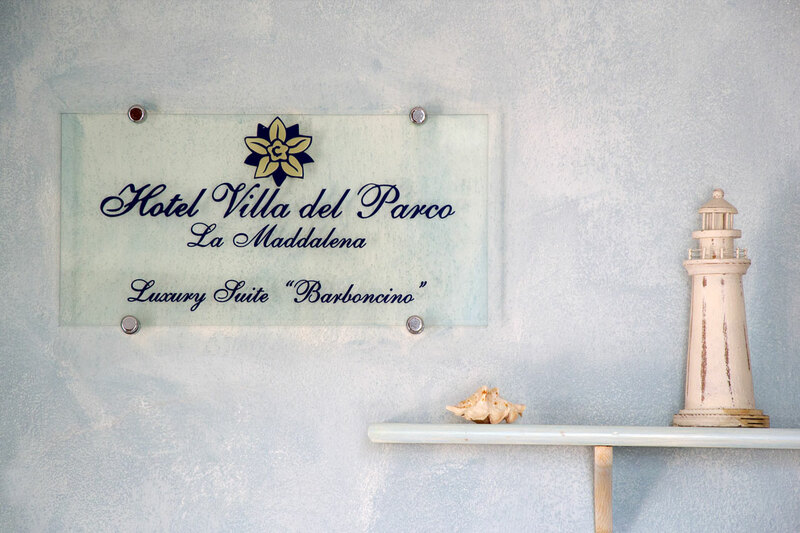 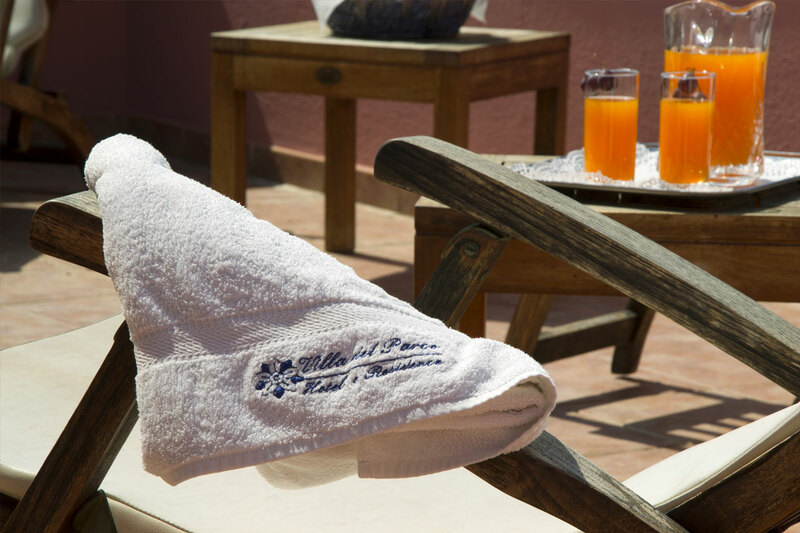 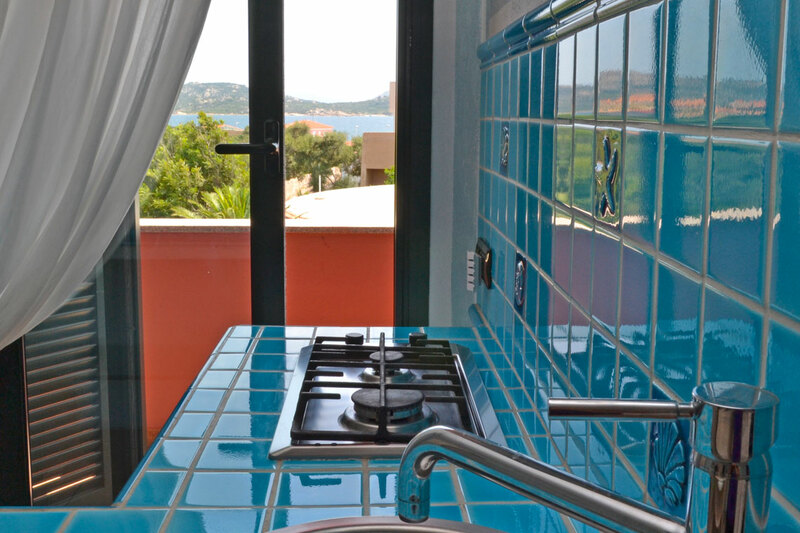 The Luxury Suite has three panoramic balconies within a view of the beautiful landscape and sea between the island of La Maddalena and the Northern part of Sardinia. 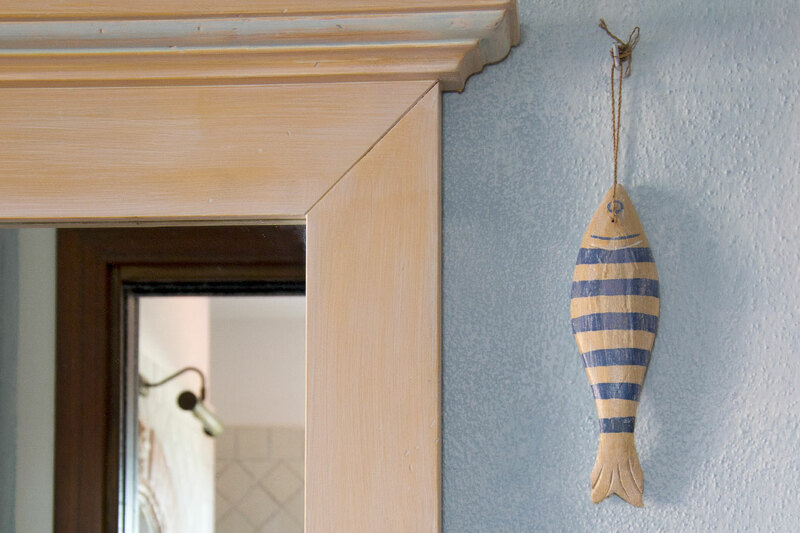 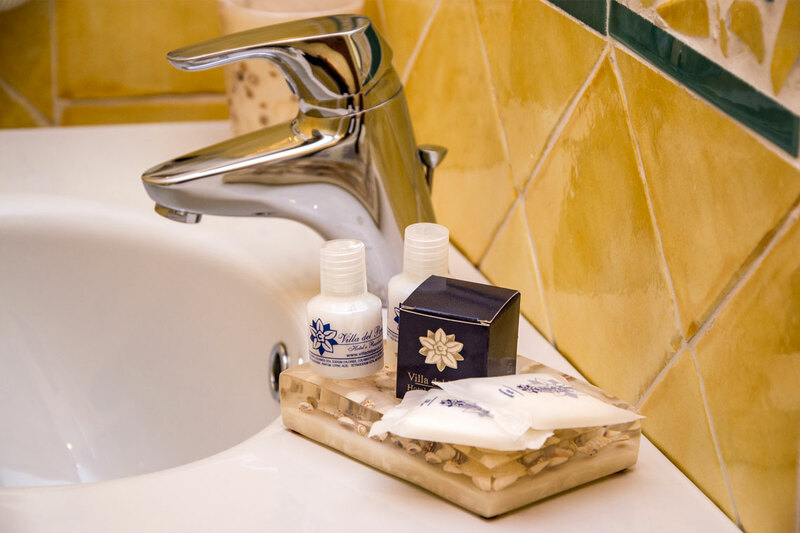 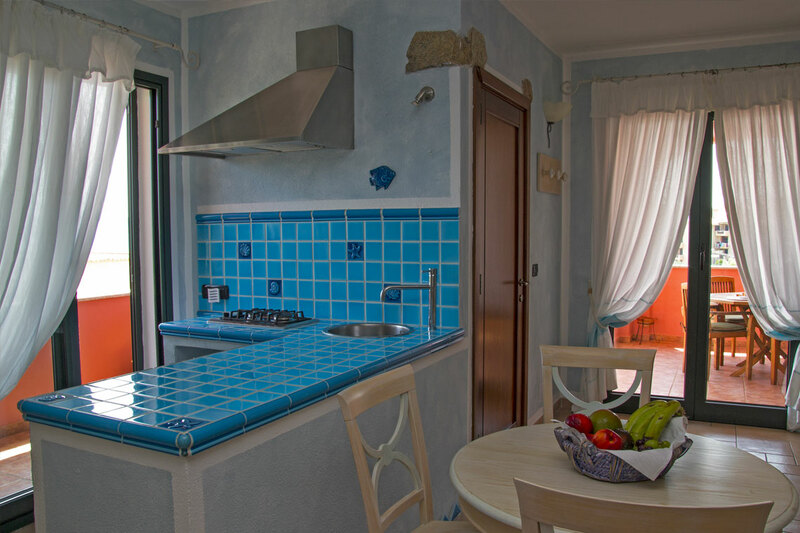 The Suite's decoration is inspired by the tradition and colors of Sardinia, it offers: TV, independent air conditioning, free Wi-Fi, safe.